One of our favorite things about our new house is that we now have tons of fireflies! We've had a great time this summer sitting on the deck watching fireflies. The boys have spent many hours trying to catch them in an old Mason jar, but since they're only 2 and 3, they haven't had much luck! So, they were super excited when we received the My Pet Firefly by Gemmy! All the hard work was done for them and they had a fun firefely to watch! All you have to do is tap on the jar, and the firefly glows and comes to life! Gemmy also has another similar product, the Butterfly Collection, which I think looks super fun! My Pet Firefly is the latest addition to Gemmy's family of animated animals. The cute and comically inspired firefly glows and flickers just like the real thing! Plus, it flits and flies around the jar with a realistic motion that you have to see to believe. My Pet Firefly makes a great nightlight for kids or desk accent for adults. Whether young, old, or in-between, this firefly is sure to draw a smile wherever it goes. You can purchase My Pet Firefly on Amazon & at Cracker Barrel. The winner will be chosen on October 13, 2011. Good luck! I already fell in love with the Bright Starts brand when we reviewed the Grab & Stack Blocks! We just got to review the Pretty in Pink Pull & Play Pig and my baby girl LOVES it! This pig looks like a simple toy, but it does several things that keep her engaged and entertained. There are several different textures, crinkle ears, and she just loves how the pig wiggles when you pull it's tail! The Pretty in Pink Pull & Play Pig does much more than just an average stuffed animal, & that's why I love it! Pull this adorable pig’s tail to feel her wiggle & jiggle! This plush pig will delight baby as she wiggles with multiple textures including crinkle ears for tons of travel fun. A portion of the proceeds from this item supports breast cancer charities. You can purchase Grab & Stack Blocks from Target, Walmart, Amazon and Buy Buy Baby! I love toys that make my kids actually use their imagination. I'm not a fan of loud, busy toys that do all the "work". I just came across this great site that has a lot of great products that promote imagination, Peter Pauper Press! I've already tried out their paper doll playsets, and we just had the chance to try out their magnetic games. I'm just as impressed with the magnetic games! We got the Princess Mega Mangnaforms and my kids had a great time with it! There are tons of activities within this book; tangrams, sudoku, and many imaginative play scenes. This book was super cute! Peter Pauper Press has tons of Safari Adventure magnetic playset for the boys! Little princesses will enjoy engaging in royal pastimes with magnetic sudoku, tangrams, and other games, and living the privileged life with imaginative play scenes. Eighteen games and scenes packed with fun overlie the magnetic foldover back cover, providing creative play at home or on the go. Zip bag stores over 100 shaped magnets. All of the Peter Pauper Press products can be found here! 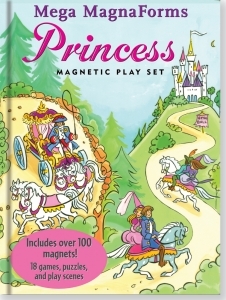 One lucky Giveaways for Mom reader will win a Princess Mega Mangnaforms from Peter Pauper Press! The winner will be chosen on September 18, 2011. Good luck! My kids just love stuffed animals. They love stuffed animals even more when they come with a story! They just received Zylie the Bear and love her! Zylie the Bear is very high quality and comes with a book about her adventures in traveling! They've been fighting over Zylie the Bear, so I think we'll have to also get her friend Shen the Panda! Meet Zylie, the fun new teddy bear that's designed to be dressed and played with like a doll! She comes complete with her signature outfit, accessories, and the first book in her adventure series! 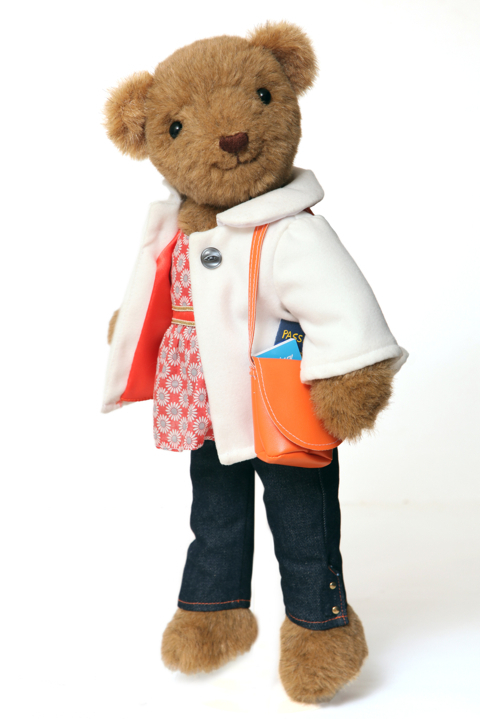 * 18" jointed bear with fashionable clothes and accessories * Comes with signature flounce top, skinny jeans and white coat * Kit also includes Zylie orange tote, complete with her map, diary and passport * First book in the Zylie adventure series included! Zylie the Bear can be purchased here! One lucky Giveaways for Mom reader will win either a Zylie the Bear or Shen the Panda kit! The winner will be chosen on August 30, 2011. Good luck! I love toys that make my kids actually use their imagination. I'm not a fan of loud, busy toys that do all the "work". I just came across this great site that has a lot of great products that promote imagination, Peter Pauper Press! I'm super impressed with the quality of our The Nutcracker Ballet paper doll play set. Peter Pauper Press has tons of paper doll playsets. These playsets have fold out scenes with pop-out features. They also have Scratch & Sketch books, Bedtime Shadow books, magnetic games, and other specialty books. 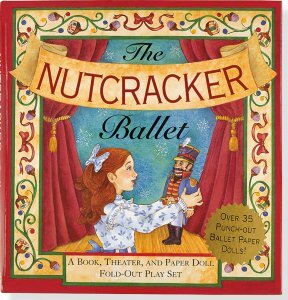 The classic story of the Nutcracker comes to life with this book, theater, and paper doll play set. Read along in the storybook as your paper doll characters (more than 35 of them!) dance their way through three different foldout stages-- Clara's living room, the Enchanted Forest, and the Land of Sweets. Place the dolls and storybook in the handy storage envelopes for safekeeping until the next performance! One lucky Giveaways for Mom reader will win from The Nutcracker Ballet paper doll play set from Peter Pauper Press! The winner will be chosen on August 14, 2011. Good luck! My kids just received Alphabeasts! Alphabeasts are adorable stuffed toys that have a letter on their belly (capital letter on the front & lowercase letter on the back.) We received Calicoucious and Lackyloo. Alphabeasts have been a great tool in teaching my kid's letter recognition; they already can identify the first letters of their name! You could even get one in each letter of your kids name to decorate their room or to help them learn to spell their name! Alphabeasts also has a great website where kids can interact, learn and play with their Alphabeasts! You can purchase Alphabeasts here! Make sure you "like" Alphabeasts on Facebook so that you can stay up to date with sales and information from Alphabeasts! I really love toys that make my kids use their imagination! Green Town Toys has several products that encourage your children to do just that! We received The Jolly Roger. My little guys love it! I was a little worried that a cardboard toy wouldn't hold up to their rough play, but to my surprise, it has! I love that this is an eco-friendly product! The Jolly Roger, as well as all of the other great products at Green Town Toys are 100% recyclable! 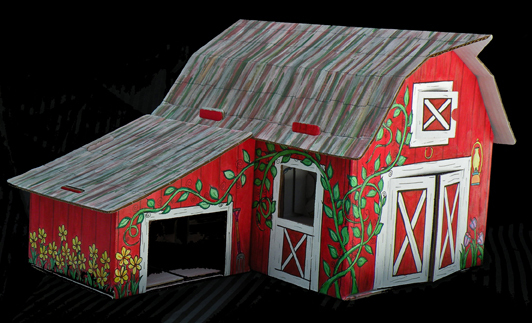 Green Town Toys is a market leader in innovative and eco-friendly corrugated products. Our mission is to design and manufacture children’s products that inspire imagination, creativity, and fun. Our extensive in-house manufacturing capabilities allow us to ensure prompt delivery, competitive pricing, and unparalleled customer service. In addition, we take the utmost pride in offering sustainable products that are designed and manufactured right here in the U.S.A.
You can purchase The Jolly Roger and all of the other great products Green Town Toys has to offer here. 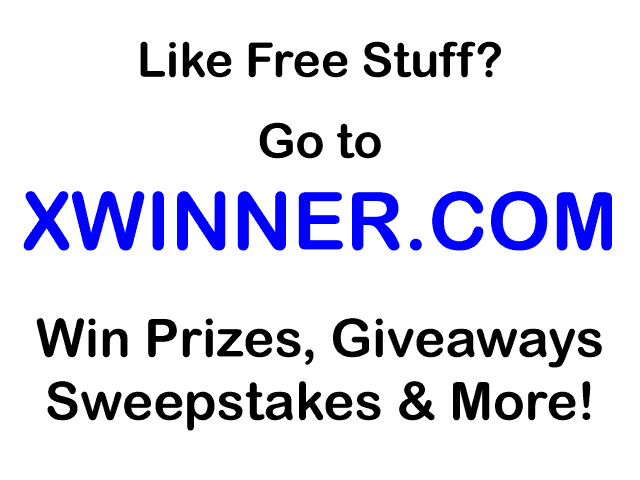 Use coupon code momgiveaways for FREE shipping on any size order! Don't forget to "Like" Green Town Toys on Facebook and follow them on Twitter to stay up to date on product news and information from Green Town Toys! I'm always on the lookout for toys that are MORE than a toy. I read somewhere that toys should be 90% child and 10% toy, however today's toys are 90% toy and 10% child. I just hate that! I strive to only offer my kids toys that they can manipulate, not just something crazy that whizzes around the room on it's own! I just LOVE the Bright Starts brand for this reason! Bright Starts offers many great toys. My ten-month-old daughter just received the Grab & Stack Blocks. She loved them! I loved the bright colors and different textures. She had so much fun stacking them and listening to the sounds they made when she knocked them over! Stack and tumble, build and crumble with these soft fabric blocks! This set of four blocks, each featuring different patterns and characters, are sure to make playtime a blast! Freebies: FREE Lego set at Borders! On May 7th you can get a FREE Lego set at Borders! Call ahead to make a reservation! Review & Giveaway: Imagination Box Co. I have several little artists in our house! My boys love to draw & color pictures, but they get tired of just coloring in coloring books or on blank paper. They were SO excited when our Imagination Box Co. barn arrived in the mail! Imagination Box Co. carries several different products that are just waiting to be personalized by your little ones. In addition to the barn, they have a castle tower, cottage, and a schoolhouse. My little guys had so much fun decorating the barn however they want! I was a little worried that it wouldn't hold up to their rough play, but it definitely has! One of my favorite things about Imagination Box Co. is their commitment to providing green products! An eco-friendly or "green" toy is both environmentally and socially responsible. It's accountable to, and respectful of, the places and people that provide and use it. Being “green” is about so much more than just recycling. It's also about being socially conscious and striving to have the whole supply chain engaged in environmentally sustainable practices. Overseas sourcing uses a lot of energy and also takes revenue out of our local economy. This is why we chose to have our products made right here in the US. Since IBC believes in “thinking globally and acting locally,” our toys are 100% American made and are manufactured 70 miles from our place of business, greatly reducing our carbon footprint. They are assembled by people with special needs in our local community, giving them a place to learn viable skills to take out into the world. All of the Imagination Box Co. products can be found here. One lucky Giveaways for Mom reader will win an Imagination Box of their own! The winner will be chosen on February 12, 2011. Good luck! Review & Giveaway: Never need training wheels with the Strider PREbike! My little guy has been asking for a bike forever. He gets so excited when he sees other kid's at the park with their bikes & sometimes even tries to steal them! He's 2, but a TALL 2, so he's almost too big for a tricycle but definitely not ready for a two-wheeler yet. So we went searching for something that would suit his needs. We found the Strider PREbike & knew it would be perfect for him! The Strider PREbike is just perfect for our son. It's the perfect size & the seat is adjustable. He loves to ride it around our house! We can't wait for it to warm up so we can adventure outside with it. Strider PREbike can be found here. One lucky Giveaways for Mom reader will win a Strider PREbike of their own! The winner will be chosen on January 30, 2011. Good luck! Review & Giveaway: PetCakes are deliciously cute! My kiddos love anything cute and cuddly! We have a seriously huge collection of stuffed animals. I usually find myself donating lots of them though because they lose their interest with them pretty quickly. But I knew things would be different when they received their PetCakes! They just love these adorable, soft pets! My two boys (under two!) can be pretty rough on toys, but the PetCakes have held up to their tough play. Their are tons of adorable PetCakes to choose from. We can't wait to complete our collection! Well Made™ Toy Manufacturing Corporation, introduces PetCakes™, a new collectible plush pet line that will be a sweet treat for children ages 3 & up. Each PetCakes animal features a "frosting" hat, comes nestled in its own cupcake wrapper and has its own whimsical backstory. At first look, children will see a delicious cupcake but will then be surprised by the pet they find snuggled inside! Combining sweet faces and cuddly plush with a clever cupcake theme, PetCakes are collectible and provide hours of open-ended imaginative play. PetCakes make perfect gifts for a special friend and for pet lovers. They are ideal for birthday party favors, stocking stuffers and as rewards for good grades. Most of all, PetCakes deliver the kind of fun kids eat up! PetCakes can be found at ToysRUs, Amazon, and eToys. One lucky Giveaways for Mom reader will win TWO PetCakes of their own! The winner will be chosen on January 14, 2011. Good luck! My little guy loves stuffed animals. He always has to have at least one to snuggle up with while he's watching TV, listening to a book, or going to bed. We were recently sent these adorable JumbieS and he fell in love with them! JumibieS are adorable bean filled toys. Then even have their own story! JumbieS come from Jumbieland, where too many animals were being born, so they had to find new homes for all the babies. They are absolutely adorable! They remind me of the Beanie Babies I had when I was a kid; I'm glad there is now something out there for my kiddos to collect and become a new craze! JumbieS are very well-made; they've held up to the rowdy playing of my two-year-old! There are currently 12 JumbieS you can collect, but new "species" of JumbieS are being discovered all the time! A list of all the stores carrying JumbieS can be found here. One lucky Giveaways for Mom reader will win a JumbieS! The winner will be chosen on December 27, 2010. Good luck! With two boys in the house (husband counts as a boy, right? Especially when he acts like a kid!) we have a ton of balls rolling around. I'm constantly saying, "Don't throw balls in the house!" but now I also have to say, "Don't bounce balls in the house!" That's because Sky Balls are now my son's new favorite toy! Sky Balls are these awesome new balls out that bounce to 75 feet! As soon as we received them, my husband grabbed my son and ran outside (even though it was dark & freezing outside!) to see how high they would bounce. The Sky Balls almost touched the street lamps! Sky Balls are about the size of a softball, so they're the perfect size for my son to get a good grip on. I've also heard they would make great dog toys, since they're super tough. I know I'm sick of buying toys for my dog to just tear up, so I can't wait to try this ball out with her! Sky Balls can be found here. They are at WalMart, Target, Toys-R-Us, and a few other retailers as well. One lucky Giveaways for Mom reader will win a Sky Ball! Follow Giveaways for Mom via Google Friend Connect. Like Sky Balls on Facebook here. The winner will be chosen on December 20, 2010. Good luck! Enter the Vapur Anti-Bottle giveaway here!